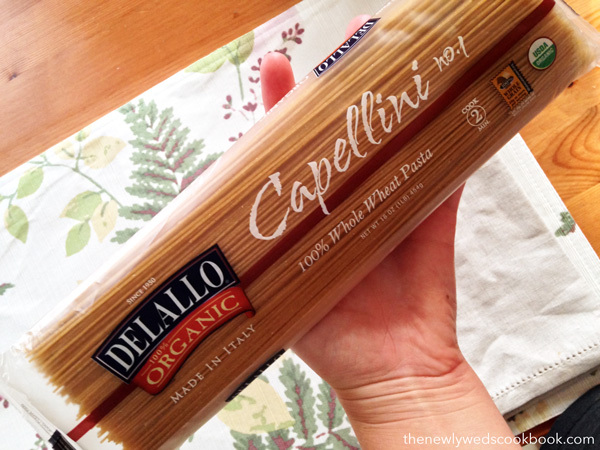 Are you a big chicken parmesan fan but try to avoid it due to the caloric intake that comes with it? 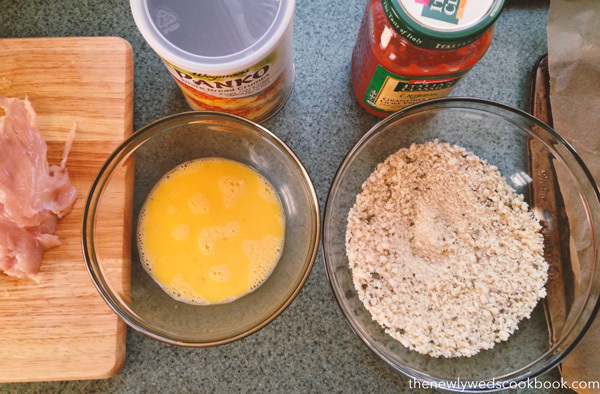 Well then, this easy and healthy chicken parmesan recipe is for you! 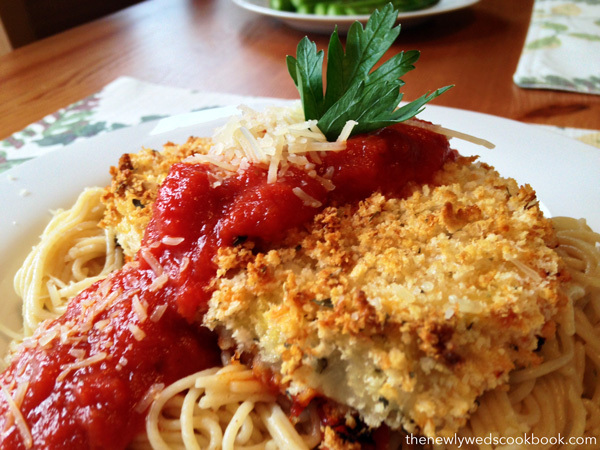 This chicken parmesan is not fried, it is baked. This chicken parmesan recipe is not doused with sugary tomato sauce and greasy cheese, we used organic tomato sauce and just a sprinkle of parmesan cheese. Oh, and we use panko bread crumbs. Am I gaining your interest yet? 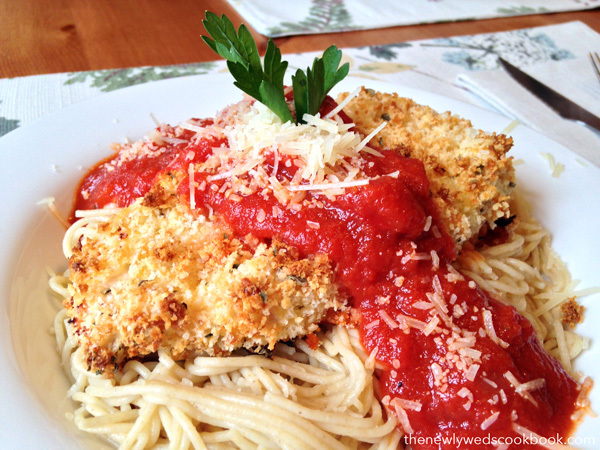 Let me tell you, I will never fry my chicken, because this chicken parmesan is insanely good. AND it is so easy: wash the chicken, cut the chicken, dip in egg, dip in panko crumbs, stick in the oven, top with some sauce and cheese. Boom, done! 2. In a medium mixing bowl, whisk the eggs and set aside. 3. In another bowl, combine the panko crumbs, basil, and oregano. 4. Place your chicken in the egg mixture, and then coat in the panko mixture and then place your chicken breasts on a lined or greased baking sheet. 6. 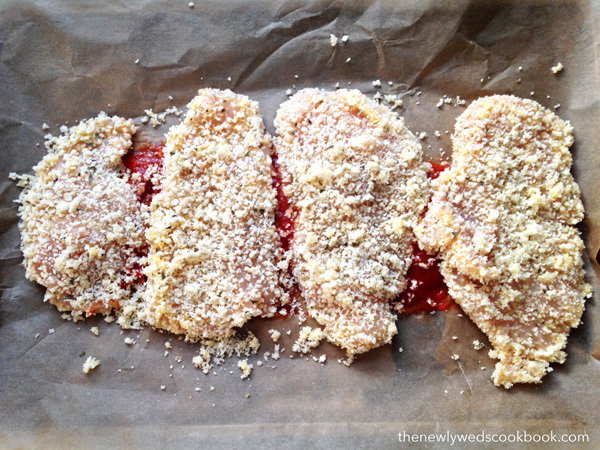 Once the chicken comes out of the oven, top with some tomato sauce and parmesan cheese.